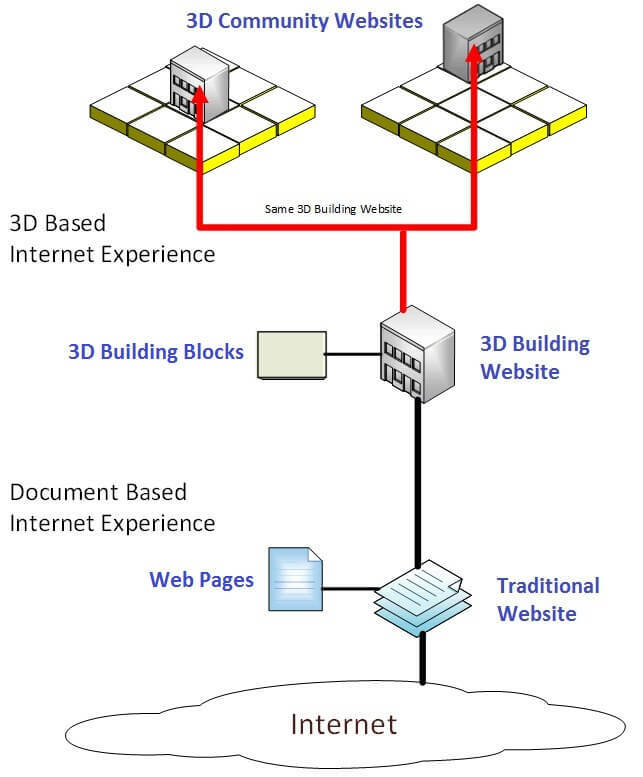 HTTP3D Framework refers to the technology or design specification utilized in 3D Internet Browsing that sets the standard for allowing multiple 3D Building Websites to connect on the same grid or 3D Community Website. This is the new 3D Internet Browsing concept created and patent pending by Dr. Aaron Dishno that defines the advancement over any other websites with 3D capabilities. The Connectivity is the corner stone of creating the continuous animated 3D Internet Browsing experience and the portability of 3D Building Websites. Portability allows a 3D Building Website to be created and maintained in one place, while allowing it to be added and browsed in multiple 3D Community Websites.